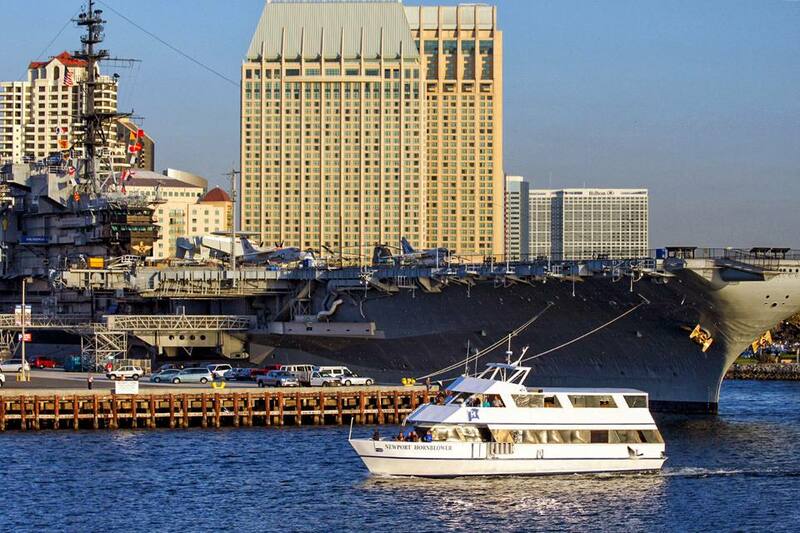 A couple of major holidays make San Diego a fun place to go in May. The better-known is Memorial Day which is the last Monday in May, creating a three-day weekend. Cinco de Mayo (May 5) has become one of California's most popular festival days, and San Diego hosts one of the biggest celebrations in the U.S. The date celebrates a Mexican military victory, not – as some people may say – independence day. Festivals are often held on the weekend nearest to the fifth. Carlsbad Flower Fields: Near the town of Carlsbad, bulb growers raise fields of colorful, showy, Giant Ranunculus flowers. When they flower in the spring, they open the fields for visitors to see them. Depending on the weather, that happens between early March and early May. Del Mar Horse Show: The horse show is a three-week event, held in April and May. It's one of the most popular equestrian events in Southern California. It's not just for riders, but something everyone will enjoy, with evening performances and gorgeous horses to see. Besides the official events, you'll find more to do in May. In Balboa Park, the Rose Garden will be in full bloom. You can also see a uniquely California event in May, the annual grunion run. That's when thousands of tiny, silvery fish mate by the light of the full moon (or the new one). See the schedule. The best San Diego beaches to watch them are La Jolla Shores, Pacific Beach between Tourmaline Park and Lifeguard Tower 20, Mission Beach between Lifeguard Towers 19 and 10, Ocean Beach between Mission Bay Channel and the Ocean Beach Pier and on Coronado between the Hotel del Coronado and Dog Beach. Sign up for a free account with Goldstar to get access to discounted tickets for performances and save on some San Diego attractions. Even better, it's just as useful when you're at home as it is when you're visiting San Diego. You can also check the San Diego Union Tribune's entertainment section. The San Diego Reader keeps a big list of groups performing at local live music venues. Watch the San Diego Padres play baseball. Their pretty downtown baseball stadium is a great place to watch a game. May begins the drier part of the year in San Diego, with lots of sunshine and little rain. San Diego starts to warm up in May, moving toward summer. Days will be sunny, but as the year progresses toward June, you may find morning fog at the coast. Pack a mid-weight jacket, especially if you plan to spend time near the ocean. Bring short-sleeved shirts and lightweight pants, with a light layer or two. You may want to wear shorts on the warmest days. Hotel occupancy is high in May. To avoid sellouts and high rates, reserve as far ahead as you can, making sure that there are no cancellation penalties if you change your mind.